Southern Ethiopia close to the town of Dilla. Population densities are said to be as high as 1400 people/km². On September 23 the UN Climate Summit was held in New York. During this Summit, an alliance of governments, companies and civil society issued the New York Declaration on Forests. This declaration contains a pledge to restore 350 million hectares of deforested and degraded landscapes by 2030. This represents an enormous commitment by political leaders, which indicates that restoring degraded forests is getting higher on the international policy agenda, which is positive. 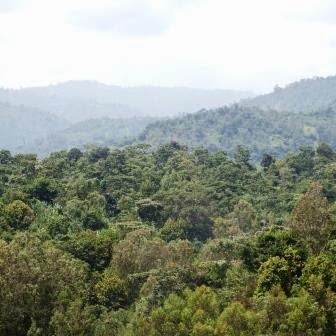 However, it is unlikely that by 2030 such a vast area of land can be restored if stakeholders rely on conventional approaches , which is planting trees. This target may well be achieved, however if all stakeholders are mobilized in a movement that shifts the accent to the protection and management of trees and bushes, which regenerate spontaneously on-farm (agroforestry systems) as well as off-farm (restoration of degraded forests). While there may be a need for reforestation in some instances, externally funded and government managed tree planting schemes are too costly to be used to restore 350 million hectares. In addition to the costs of establishing nurseries, producing and transporting tree seedlings, preparing sites and organizing labor for planting, it can be very costly to protect and ensure the survival of young seedlings. The cost of planting trees and establishing tree plantations usually exceeds 1000 $/ha and it can be as high as 6000 $/ha. 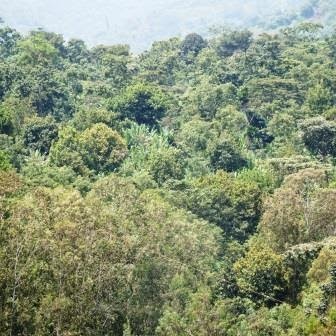 Despite the high costs, this approach to restoration through reforestation in semi-arid and sub-humid regions often has high mortality rates (80 percent or more). The Economist of 23 August had an interesting short article about the Great Green Wall in China. It mentions that in Ningxia, in northwest China, a pest wiped out 1 billion poplar trees in 2000, which represented two decades of tree planting efforts. As often mentioned in previous re-greening updates, farmers across the Sahel have shown the way forward by successfully protecting and managing on-farm trees and in some regions they have done so at scale. The most striking example is found in Niger where farmers have created new agroforestry systems on 5 million hectares. This has been done by farmers. The external investment costs have been low. The external funding for promoting re-greening by farmers in Niger has not exceeded 100 million US $, which means that average external investment costs per hectare were 20 US $ or less. Survival rates of trees regenerating naturally tend to be high, because the trees are protected by farmers and their communities. They do so because they perceive ownership of the trees and have been empowered to manage the trees and other natural resources through the effective devolution of resource rights to the local level. And we are gradually becoming more aware of the benefits, which can be very substantial. In July I had an opportunity to make a field visit in Ethiopia and decided to visit the famous Humbo forest as well as the agroforestry systems in Southern Ethiopia close to the town of Dilla. The picture below is taken in Humbo in July 2014 (Plate 2). The mountain is completely covered by trees and bushes, but when the project began in 2007, an area of 2700 ha was almost bare. The process of natural regeneration has occurred at stunning speed. The link below provides more information about the Farmer-Managed Natural Regeneration activities of World Vision Australia in different parts of the world. It provides background information as well as more pictures about the Humbo project in Ethiopia, which is a joint project of World Vision Ethiopia, the Federal republic of Ethiopia and the Biocarbon fund of the World Bank. Using the link you can also find more information about the nearby Soddo project. Plate 3 shows a picture of the mountain top at Soddo, which is covered by trees. The town of Awassa is about 270 km South of the capital Addis Ababa. It’s another 90 km southwards from Awassa to the small town of Dilla. Almost all the land between Awassa and Dilla is covered by agroforestry systems as far as the eye can see. From Dilla it’s possible to take a narrow winding road up the mountain to Bule, which is situated at an altitude of about 2800 m. Plate 4 shows agroforestry systems between Dilla and Bule. It is hard to imagine that this is not a natural forest, but an agroforestry system. 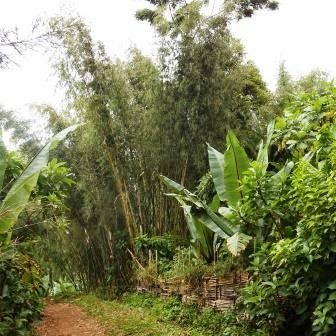 This area is referred to as Gedeo and it is famous for its complex agroforestry systems with false banana (enset) and coffee as two important species. At higher altitudes bamboo becomes more important (plate 5). 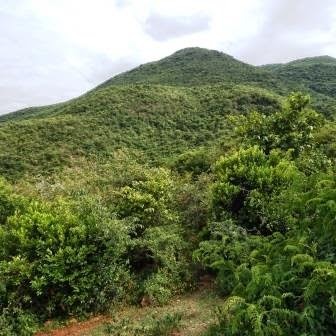 The Gedeo agroforestry landscape may become a World Heritage site. Population densities in the Gedeo are said to be up to 1400 people/km². Where densities are highest, maize and other annual crops disappear and only perennials are cultivated. I had the privilege to visit the Gedeo landscape in the company of Dr. Getachew Mulugeta, an agroforestry specialist of the Southern Agricultural Research institute (SARI), who has detailed knowledge of this area and shares it with infectious enthusiasm . 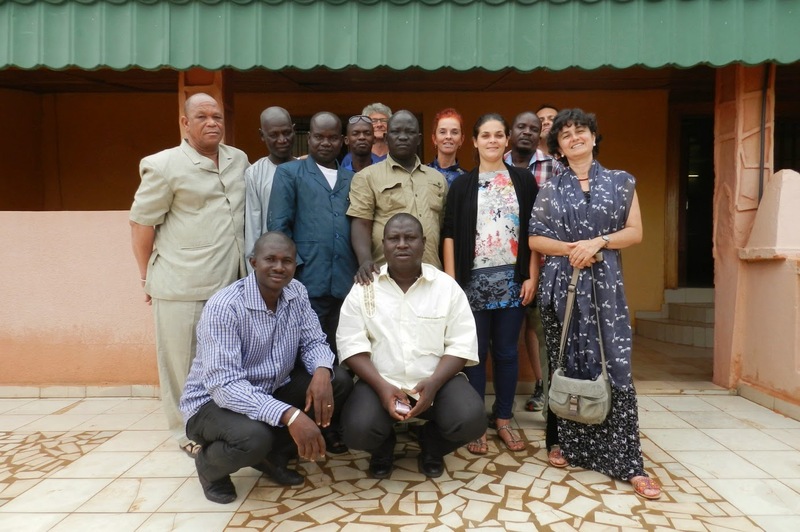 At the invitation of Réseau MARP (Burkina Faso), Sahel Eco (Mali), and CARE Niger, the Web Alliance for Re-greening in Africa (W4RA) team from VU University Amsterdam, did a new round of creative Agile workshops in Burkina Faso and Mali. The objective of these workshops is to co-create innovative communication systems to improve agro-forestry value chains to increase the incomes of local farmers and improve well-being of local communities. These activities are part of a project funded by the Netherlands development cooperation (DGIS) and implemented by the World Agroforestry Center “Program for Food and Water in the Sahel and the Horn of Africa”, The workshops took place from 19 July to 1 August 2014. The Web Alliance for Regreening in Africa is an initiative of VU University Amsterdam, Sahel Eco, Réseau MARP, SBC4D, 2CoolMonkeys, and several other partners in support of knowledge sharing for rural development in Africa. The Agile “Workshop-based” approach uses a collaborative, iterative and adaptive methodology to co-create ICT systems, which are tailored to a specific rural context by a mixed team of local development specialists, radio journalists, rural producers and a team of ICT specialists. 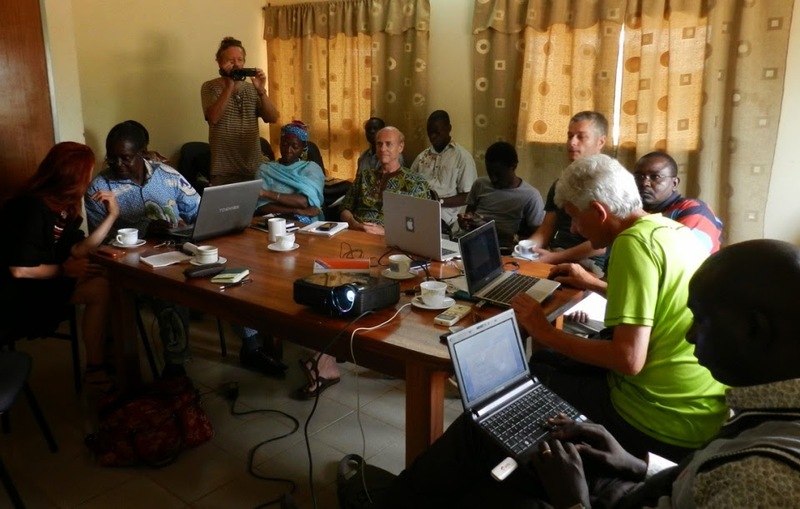 In Ouahigouya, Burkina Faso, a two-day session was organized with five local radio stations. The radio journalists helped to compose, translate and record spoken text in local Moré language. These voice fragments are used for the development of voice-based market information systems, which allow farmers to broadcast their product offerings on the local radio. The name of this new information system will be “Raas Kibaya”, which means “market information” in Moré. The name and the functionality of the system was a result of the co-creation sessions. 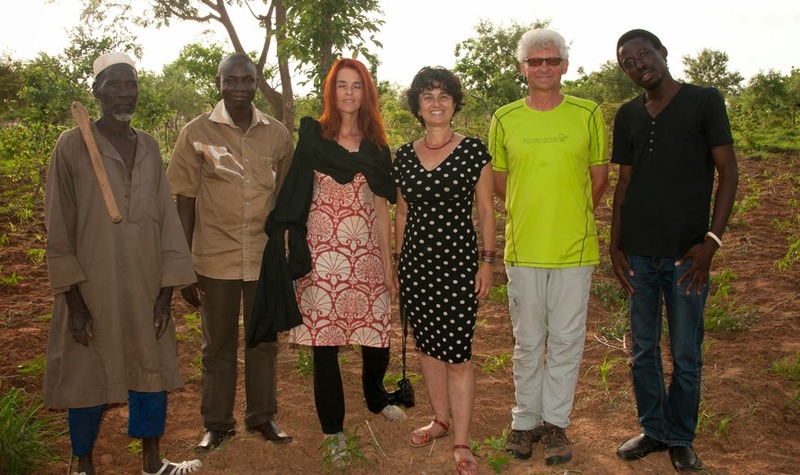 After the workshops the W4RA team met two farmers-innovators in their fields: Ousseini Zoromé and Ousseini Kindo. Both farmers are experienced agroforesters who help to develop the system specifications. In Mali, another W4RA workshop was held in Ségou jointly with Sahel Eco and other Malian partners from the DGIS project. All participants discussed information needs, and decided jointly that a voice-based market information system was their highest priority at this moment. Their choice was influenced by the experiences of Sahel Eco and W4RA with the Radio Marché market information system, designed and built for farmers in the Tominian area. This system has helped increase the sales of honey and shea butter for a group of farmers in 19 villages around Tominian. Amadou Tangara, value-chain expert from Sahel Eco presented a plan for development of value chains in rural areas. He explained the different stages and approach, and pointed to the importance of adaptive ICT systems such as Radio Marché in the process of developing value chains. The experience with Radio Marché, which was built, tested and implemented in Mali since 2011 can and will be used to build similar systems, adapted to the local conditions (language, market situation, products, etc) in other countries. World VisionAustralia. It’s a great website which keeps you up-to-date about the re-greening work of Tony Rinaudo and his team. World AgroforestryCenter in Nairobi that most readers will know. It is a very useful source of information. EverGreen Agriculture Partnership which is an alliance of organizations and governments, united by a common goal of agricultural landscapes with trees integrated into cropping and grazing land as a method of increasing productivity and resilience, environmental sustainability and food security.